After having a productive posting month in January, I’ve been pretty quiet so far in February. 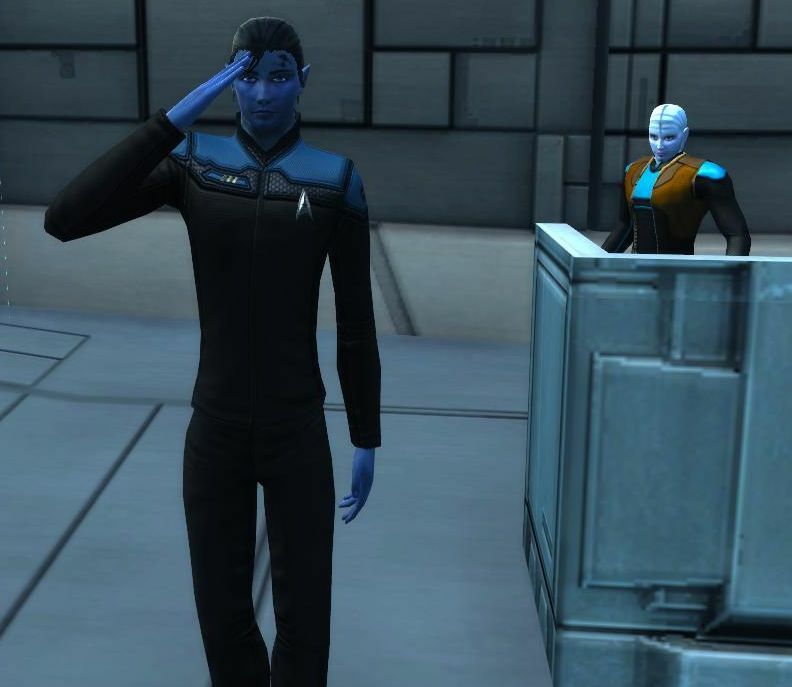 Partly because I was taking care of my son, who got strep throat, but mostly because I’ve been spending my evenings in the Star Trek Online headstart and then launch. Basically, I’ve either been working, parenting, or captaining (with a little sleep and food occasionally). So this is a little later than I’d luck, but better than never right? I know lots of people had a pretty rough headstart, but I wasn’t one of them. My playtime runs starts around 7 pm and runs until midnight (GMT-5), once my son is asleep and my wife is occupied with a book or television. So I didn’t get into STO on the Friday headstart launch until late. Which is good since I wasn’t part of the initial rush of players when the server went live in the afternoon. I bought the digital delux edition from Direct2Drive, so I also managed to dodge the Steam issues with re-downloading the whole client. All in all, I ended up playing 9 hours Friday night (until 4 am) and don’t remember having any issues. Saturday was a little rougher, I did experience some longer loading screens and rubberbanding right up until late Saturday night when the server crashed, but I figured better get some sleep anyway since it was 2 am. In total I put in about 20 hours of play time (according to my Raptr profile) from Friday to Sunday. I had one server crash, but I was busy with other stuff during most of the queues, hanging loading character lists, and other problems. Even better, I met my goals for the headstart by reaching Lieutenant Commander as a science officer and requisitioning a Nova class science vessel. 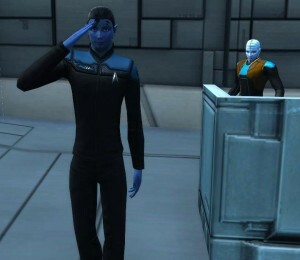 Here’s my alien Bryn Aen, a Kae from Nalyl-6, at his promotion ceremony and his ship the U.S.S. Grace. Launch day seems to have been pretty smooth for everyone, it definitely was for me. My one complaint getting started was that D2D didn’t bother to email me that my key was available until nearly 6pm, by which time I’d already checked my D2D account page, registered the retail key, and was in the game playing. I had no problems logging into the website and registering my key from the link on the home page, although it is odd that the same link isn’t on the account page. The redemption method through the in-game store is a bit odd, but I was already used to this from playing Champions. Bryn in his Original Series era uniform. The whole week has been pretty smooth up until Friday and the weekend. While I still haven’t seen any queues, I did get some pretty frequent disconnects during missions (mostly Sunday for myself), and there were several unscheduled maintenances (which means the server crashed). All in all a typical MMO launch, although definitely toward the LotRO end of the scale and not the Anarchy Online end. Hopefully the hardware upgrade Cryptic has been promising is in place before this coming weekend and resolves their stability issues. While definitely not a review, these really aren’t first impressions either since I was in the closed and open betas. That said, I have started to get into content I hadn’t experienced in the betas including spending more time with the Tier 2 ships. The game really starts to get more interesting once you upgrade from the light cruiser everyone starts with. The episode missions also start to develop more story. Of course if you just click through dialogs looking for the objective, you’re missing out on a good portion of the experience. In the end, I’m having fun. When I sit down to play, I always seem to end up in Star Trek before any other game. Of course this is pretty regular for my during the honeymoon period for any game. Long term I can easily see spending time popping in to play some fleet missions or deep space encounters just for the fun of blowing some ships up. Having fun reading about everyones impressions, since this is one game I’m still not playing (and probably won’t be, I think I have enough on my plate for now). Glad to hear you’re enjoying it! Any game that means you have more time playing then writing, is great. I am having fun, but I’ve been trying (unsuccessfully) to moderate my time a bit. Partly because I was really trying to be more active with the blog this year, partly to extend my “honeymoon period” with STO, and partly because I have a really fun kinship in LotRO now that I don’t want to neglect. Hey thanks! Finished listening to the latest Banstick last night and left you a tip about getting the loading screens to “pause”. 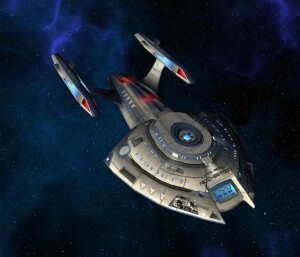 Patrols or something sounds fine, I sent you an STO friend invite via the website. Man, that’s a nice write up! I’m really loving my Nova, too. Thanks much. You know I was really surprised about liking the science class ships so much, generally I gravitate to the DPS role but the Nova is a nice mid-point of durability, damage, and utility.